London is full of hotels from 1 star to 5 stars, small B&Bs and hostels for travellers. However, a B&B can sometimes be all you want to rest your head for the night, especially in the city of London when there is so much to see and do. Most people don't spend a huge amount of time in their room anyway, so here is a list of some of the best B&Bs in town. This gorgeous little B&B has three large guest rooms beautifully decorated in Old English style. It overlooks a large park and there is even off street parking if needed, a real rarity in London. They cook a brilliant full English or vegetarian breakfast in their lovely dining room that opens onto the terrace and garden where breakfast may be served on a warm day or in cooler weather enjoyed by the cosy fireplace. 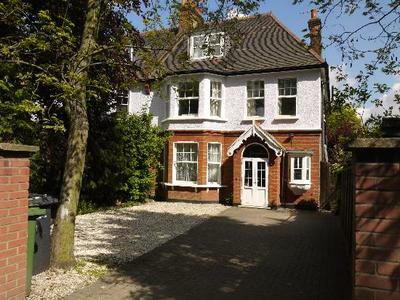 Bay Tree House Bed and Breakfast is located in New Southgate in the North London Borough of Enfield. Arnos Grove Tube Station on the Piccadilly Line, is a 4 minute walk so no need for taxis. Janice and James, who own the property are extremely warm and friendly and always willing to help. There is a Harvesters Pub nearby, a fish & chip shop, a Chinese restaurant and an Italian deli although London's West End with all its restaurants, theatres and shopping is only a short tube ride south. Perfect to involve yourself in London life but also have that sanctuary of being in a residential area. If you fancy staying South of the river, head to the best South London B&B 108 Streathbourne Road in Balham. It's a handsome house in a conservation area that manages to be both elegant and cosy. Mary and David are the landlords and their home is extremely clean and welcoming. 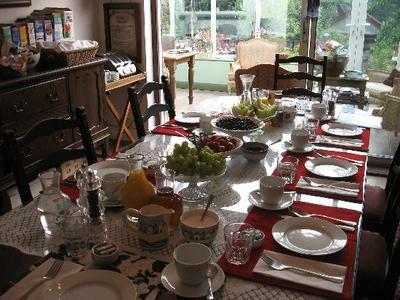 Breakfast is cooked by the owners and guests can choose from options like sausages and bacon or yoghurt and stewed fruit. Balham high street is just around the corner and Tooting Bec tube station is about seven minutes' walk: Central London is then a 20-minute tube ride. There are two bedrooms at 108 Streathbourne Road so book up fast. 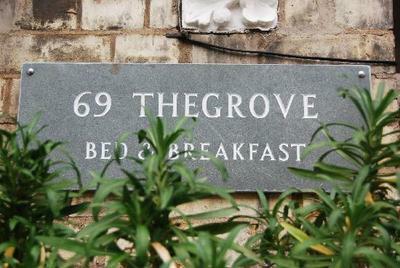 For a Central London B&B head to 69 The Grove in Vauxhall. This accommodation is perfectly located to Central London for those visiting for a short break, holiday or business. 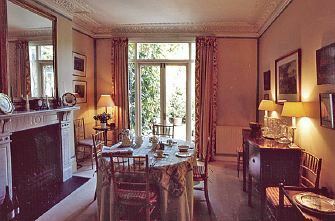 The house is a lovely Victorian building located in a quiet street in the heart of Vauxhall. The rooms are lovingly furnished and modern, equipped with a small fridge, a flat screen tv, iphone docking station as well as coffee, tea and small snacks. 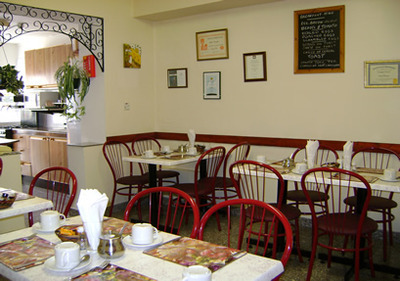 The atmosphere here is just great and their delicious breakfasts are also included in the room price. There is also a great vegan, community-run cafe opposite 69TheGrove plus a great organic grocery nearby. 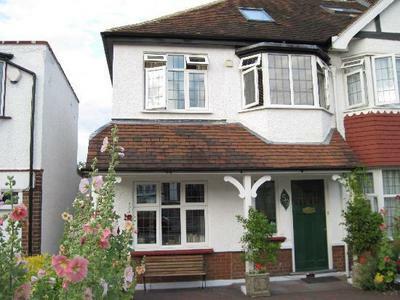 The house is situated in a really great immediate neighbourhood. For prices and booking you can check here. For somewhere in the South East of London, head for the Plum Tree House B&B. The rooms here are big, nicely furnished and clean with a beautiful ensuite-bathroom (if you go for this room type) and both the bathroom and the room itself have big windows. Location wise, it is slightly out of Central London but it is convenient for Blackheath, Bromley, Catford, Lewisham and Greenwich and near to Lee and Hither Green stations. From Lee it is 20 minutes to Charing Cross and Cannon Street, 15 minutes to London Bridge and the O2 entertainment complex is accessible by car in only 15 minutes or public transport in just over 30 minutes. All three rooms have a writing desk and TV set with a DVD player. There is also a wi-fi access point laptop use. This is another great little B&B with off-street parking for up to three cars. The breakfast here is just delicious and very lovingly cooked, with a choice of a full English or continental breakfast, at the time you want it. The room rate of £60 for a double, includes breakfast. A bargain really for a night near Central London. If you are looking for a B&B in West London then head to Hotel Orlando; a small, friendly family run Bed & Breakfast, in Hammersmith, West London situated within walking distance to Hammersmith underground station (6 minutes), connected with 3 main underground lines, only 15 minutes away from Piccadilly and within easy reach to other tourist attraction and to Heathrow Airport. Prices start from £72 for a double room, another great price for being so central to the city centre and London's "West End". 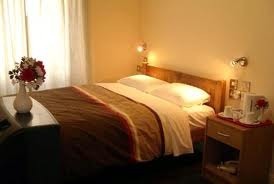 The rooms here are big compared to many other B&Bs in London, with large bathrooms and crisp sheets and towels. They serve a full English breakfast if you want it or continental if that is more your thing. They are also very close to the new Westfields shopping centre in Shepherd's Bush which, if you are into shopping, is definitely worth a visit. If you know of any other great B&B's in London, do let us know below.